For many of us, there are few things more fun than being outside with our best friends. Who wouldn’t want to spend their days in search of new trails to explore and nights roasting s’mores around the campfire? There’s just one problem—someone has to plan the trip, call for campsite reservations, and make sure that everyone has enough food to eat. Chances are, there is someone in your circle of friends that loves doing that kind of stuff. No matter who is in charge of planning your next grand adventure, this guide has everything you need to do to have the time of your life. Dispersed/Backcountry Camping. 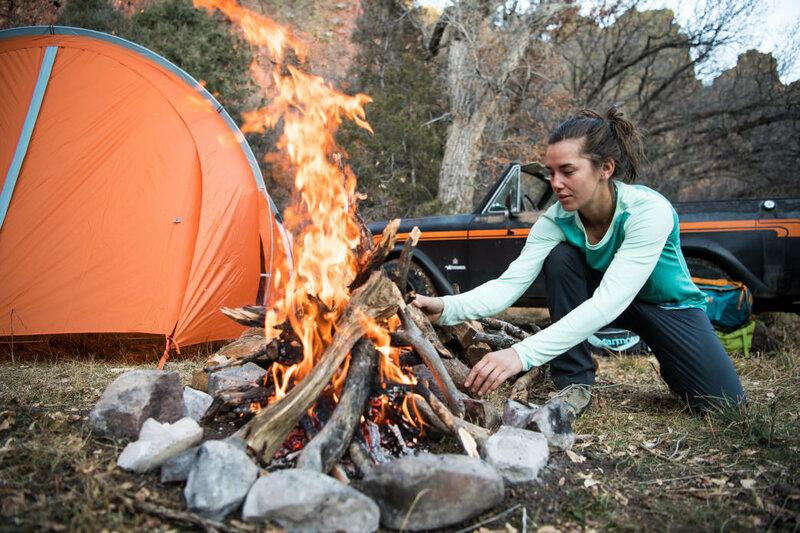 Dispersed camping on public lands offers seclusion and freedom, but requires significant self-reliance due to the lack of facilities like water and restrooms. True boondocking can be an awesome experience with a large group of friends, but make sure everyone in your group is ready for a primitive experience. National and State Park Group Sites. Many national and state parks have designated group sites, which are usually more isolated and equipped with water, restrooms, multiple tables, and larger fire rings. These sites make it easy to organize a trip, but can often book quickly, with reservations filling more than six months in advance. 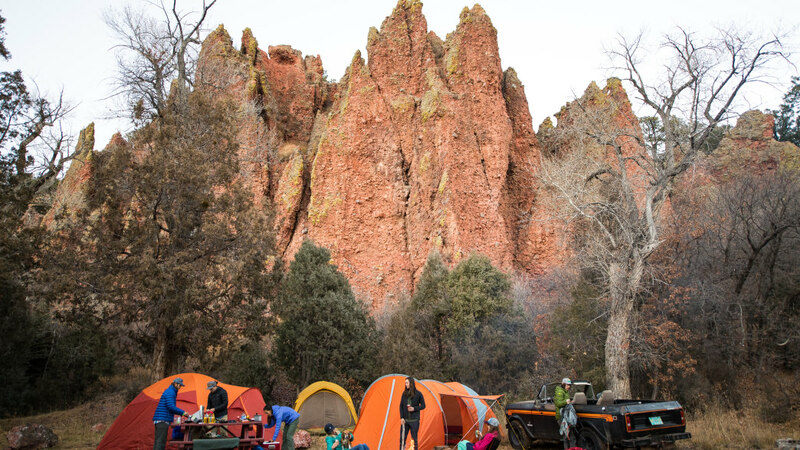 Many group campsites fill up pretty quickly, so the key here is to plan ahead and make your reservations as early as possible. 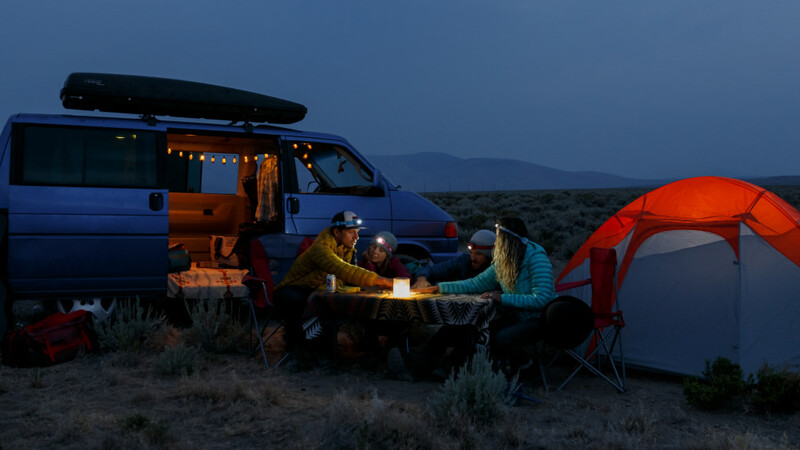 Once everyone is on the same page with the camping, start thinking about places to go. Nothing will get you more stoked for a trip than thinking about the amazing place you’re about to visit. But beyond the actual campsite, it’s important to find a place that everyone will enjoy. If one friend can’t swim and hates water, avoid planning a paddling trip. If two of your buddies are coming from sea level, don’t count on summiting a 14ers. You get the idea. 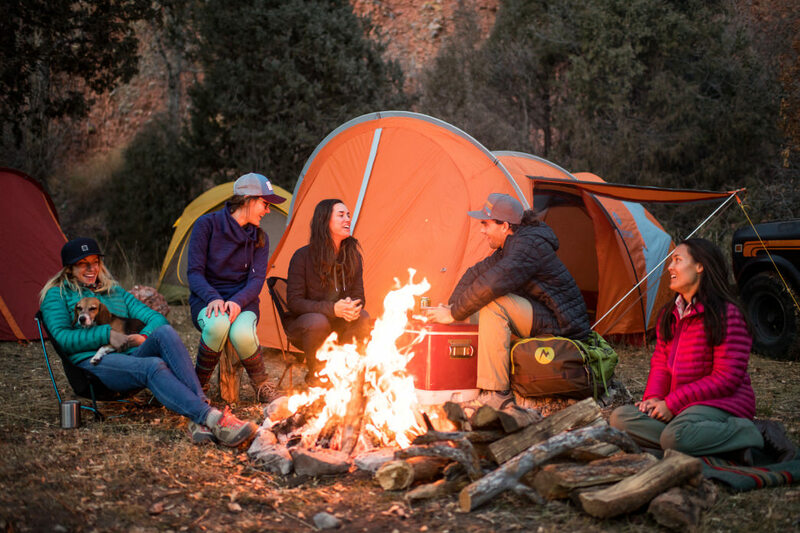 We listed some solid options for dispersed camping around the country in The Lowdown On Dispersed Camping, or try a national park like Grand Teton National Park in Wyoming or Glacier National Park in Montana. The group camp area at Colter Bay in Grand Teton is secluded from the rest of the busy campground in a wooded pine forest and is just a short walk from the picturesque shores of Jackson Lake with the majestic Tetons looming above. Glacier National Park boasts 12 different group campsites across four campgrounds with room for 9-24 people per site, and each site is reservable up to one year in advance. If you’d rather wake up to crashing waves than mountain views, two breathtaking oceanfront state parks lie within three miles of each other on California’s pristine Central Coast. Both Refugio State Beach and El Capitán State Beach are home to stunning views of the Pacific Ocean, wide sandy beaches, tide pools teeming with aquatic life, and miles of hiking trails into the mountains for bird’s eye ocean views. Each have multiple group sites, and reservations open six months in advance. Planning food for a large group can be a daunting task. Keep it simple with easy meals like tacos or burritos, and make sure you bring plenty for everyone. Check for any dietary restrictions so that no one has to subsist on trail mix alone. There are plenty of easy ways to mix it up and make something a little special, even if it’s just for one night, so don’t think you’re limited to ramen noodles every night. Divvy up the responsibilities (making the fire, looking for firewood, cooking, cleaning, etc.) and see who can bring what cooking supplies (stove, plates, utensils, etc.). Usually, it’s an unspoken rule that whoever cooks or helps with food prep is off the hook for dishes, but make it clear so that no one ends up doing it every time. 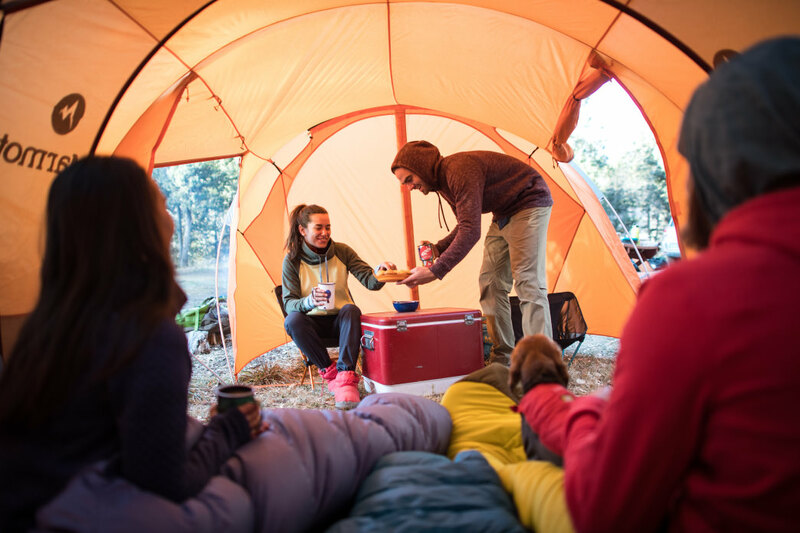 Repackage food into reusable containers before your trip to minimize the waste you have to manage while camping and so that you have something to put leftovers in. 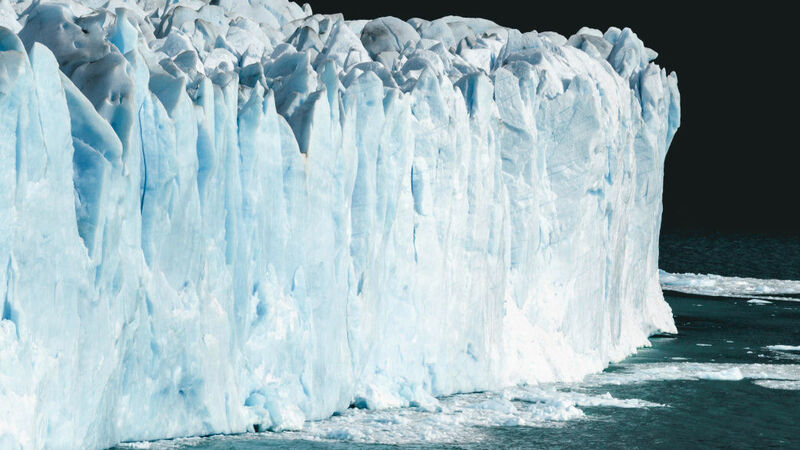 Avoid cases of plastic water bottles and bring reusable bottles and large jugs instead. Bring plenty of trash, recycle, and compost bags to keep your campsite tidy. Store your food in a bear canister or bear box if necessary. It’s also important to properly dispose of your dishwater and scraps. Yep, we’re talking about poop. Everyone does it, and it’s an important subject when it comes to our public lands. Minefields of toilet paper and human waste from a previous group are a quick way to spoil your weekend, so it’s important to get this one right. Obviously, your best bet is to find a site with restroom facilities nearby. If that’s not in the plan, create a latrine by walking at least 200 feet (70 big steps) away from any water sources to prevent water contamination. Dig a long trench, 6-8 inches deep, leaving the uncovered dirt right next to the trench. Each person fills in their section of the trench after use. The best thing you can do with toilet paper is to pack it out, otherwise deeply bury your toilet paper at the bottom of the trench. Weather is unpredictable, tents get tears, and people twist their ankles on rocks. 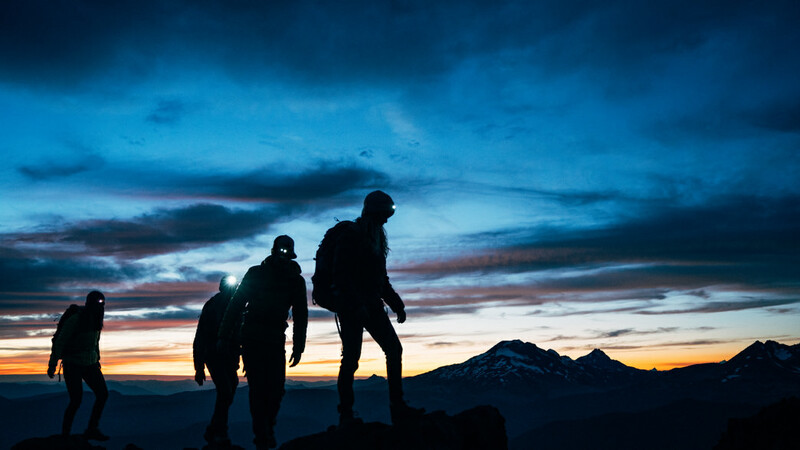 No one likes to think about the worst case scenario, but any time you’re planning a trip with multiple people or heading into the wilderness, it’s something you have to think about. Ideally, someone in your group is first aid—or even better, wilderness first aid—certified, but at the very least bring a first aid kit. (Throw some duct tape in there to cover any gear mishaps!) Know where the closest medical services are, and buddy up if not everyone is going on the same trail at the same time. Keep an eye on conditions before you head out. Even though there’s #NoBadWeather, be smart about your plans and don’t take unnecessary risks. 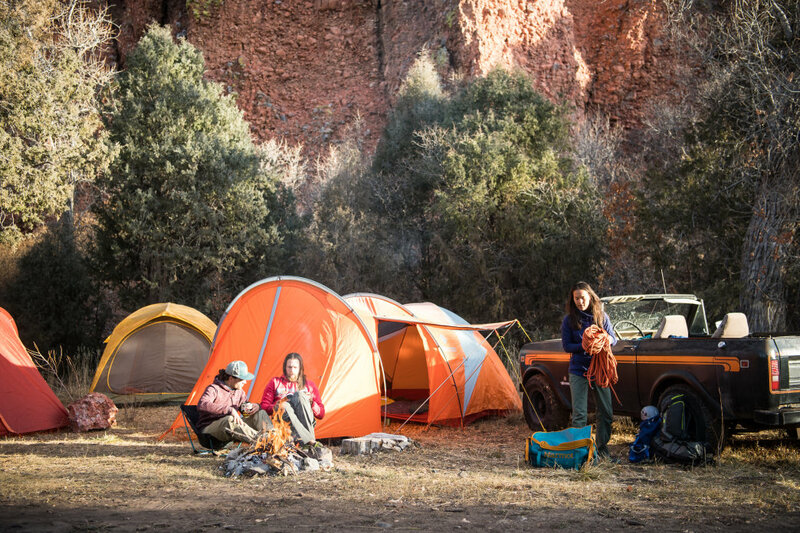 Whether you’re setting out for a week for spring break or a precious summer weekend, camping is always more fun with a few friends. Choose your companions wisely, brush up on how to limit your impact on the environment, and start planning your trip!